Everybody said we were crazy with our 18-36 storm total for the Carson Range; but we were pretty darn close as it turns out. That was a great 1-2 punch and the snow is starting to pile up. There is no end in sight for the storm train as we are tracking storms for early tomorrow, Sunday-Tuesday, and late next Friday. The later two storms are showing much more liquid precip. However, these will be warmer storms and snow levels will rise to around Lake Level. Because of the amount of warm moisture these storms are bringing in, I would not be surprised if snow levels started in the 7,000 foot range. But, let's no get ahead of ourselves. I expect the lifts at Mt. Rose to stay open tomorrow. 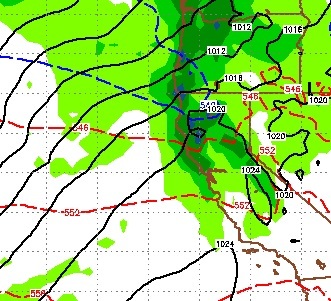 However, this storm will bring only around 3-6 inches of snow for the Carson Range and about double that for the Sierra. This is another larger storm system with an adequate moisture tap. Notice the warm air mixing from the south. This is not a classic El Nino storm, but is certainly influenced by El Nino. In fact, we have not yet moved into a complete El Nino pattern yet, when we do ... lookout. 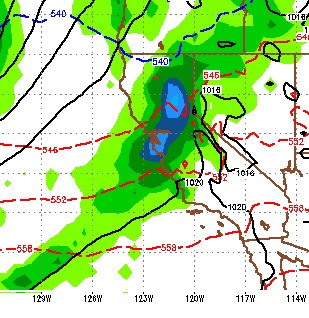 Finally here is the moisture outlook for the next week. Because these are warmer storms the snow amounts may not be as impressive. 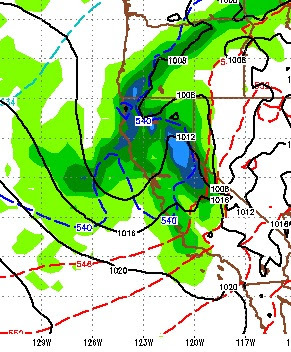 But as far as liquid precip, the Northwestern Crest of the Sierra could pick up an additional 8-10 inches. The Carson range will see some shadowing but we should join the party in the 3-5 inch range depending on elevation. 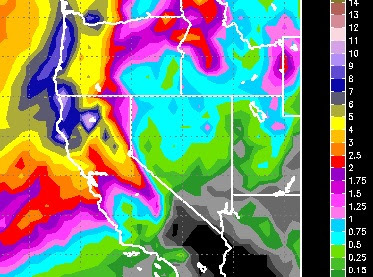 Storm Update, Dry Out Next Week?